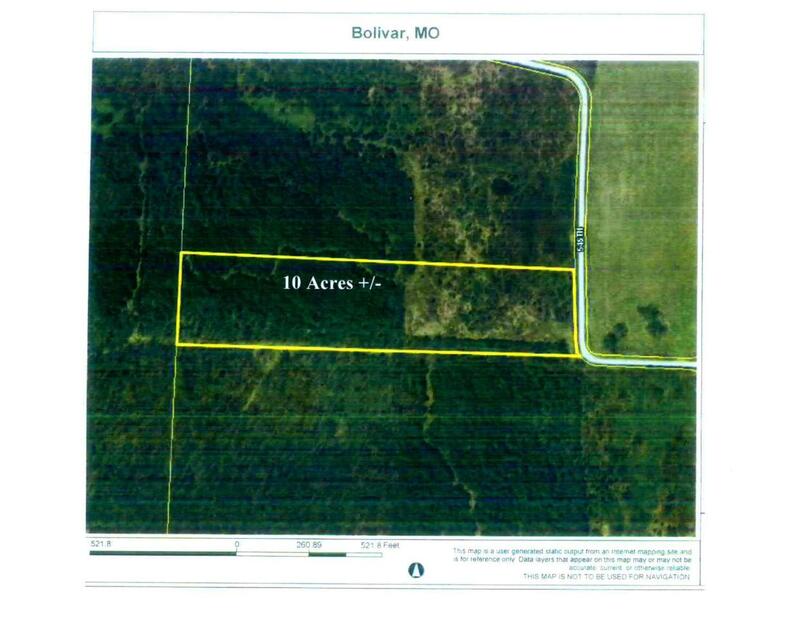 Beautiful 10 acres +/- located between Springfield and Bolivar just off HWY 13. This level wooded tract provides a convenient commute to either Springfield or Bolivar. Property is private with good building sites and good hunting possibilities. More land is available. Listing provided courtesy of Tom Kissee Real Estate Co. © 2019 Southern Missouri Regional MLS. All rights reserved.